Japan's Sony said on Wednesday it has brought back AIBO more than a decade since it last made the robotic dog, as the electronics and entertainment firm seeks to rebuild its reputation for innovationafter years of restructuring. 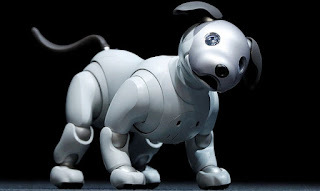 AIBO is billed as a pet that behaves like a real dog using artificial intelligence (AI) to learn and interact with its owner and surroundings. The upgrade sees AIBO equipped with new sensing and movement technologies as well as far more advanced AI backed by cloud computing to develop the dog's personality. Sales begin in Japan in January for JPY 198,000 (roughly $1,739 or Rs. 1,12,300). 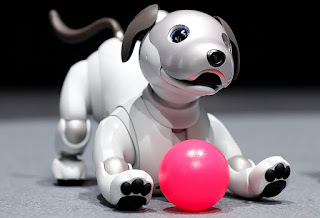 "I asked our engineers a year and a half ago to develop (new) AIBO because I strongly believe robots capable of building loving relationships with people help realise Sony's mission (to inspire)." It invested an undisclosed sum last year in Cogitai, a US AI start-up focusing on technology that allows machines to learn continually and autonomously from interaction in the real world. It also established a venture capital fund to build partnerships with researchers and start-up companies in AI and robotics.